3 x 16 x 12 1/2 in. 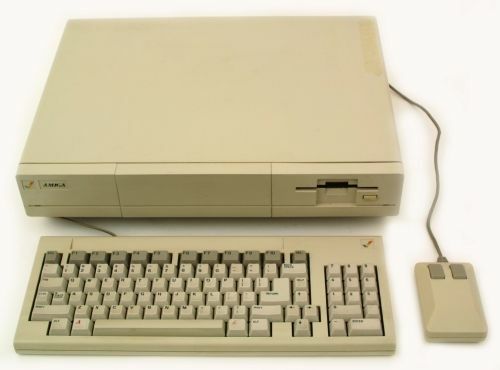 Object consists of the system unit (CPU box), two dummy modules installed in the two printed-circuit-board edge-connector docking bays on the front panel, and the original retail cardboard box. The dummy modules measure approximately 1 x 3 1/4 x 3 3/4 in., and have solid plastic edges.. Dimensions are of CPU unit, excluding the attached power cord.. Dimensions of the outer retail box are approximately 8 1/2 x 21 x 17 in.. 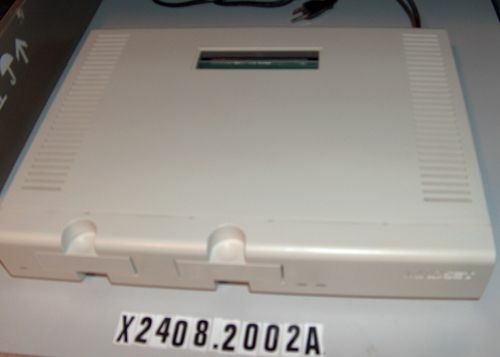 NOTE - As stored, the system unit is mated to an expansion unit (Accession Number X2408.2002E) that sits on top of the system box, and is attached to the system box by mating edge connectors in the top of the system box and the bottom of the expansion unit. At first glance, the two separate units appear to be a single unit, but they are only attached to each other by the friction of the edge connectors.. 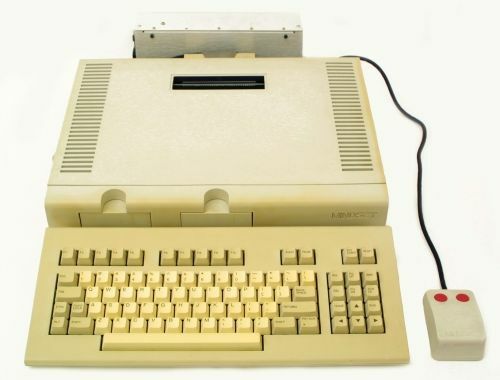 The CPU unit has a rotating knob recessed into the left side of the unit that opens and closes the jaws of the printed-circuit-board edge connectors in the accessory module docking bays.. The CPU has a rectangular, 5 x 1 1/4 in. 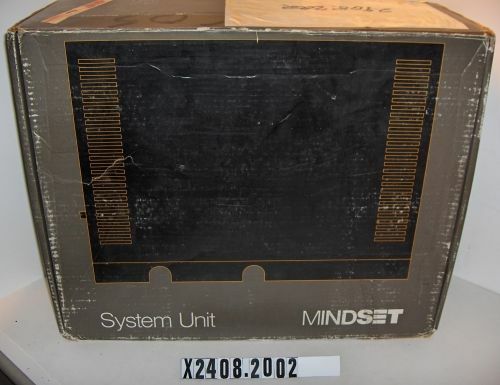 opening in the top, with an exposed edge connector, to allow docking with a Mindset expansion unit, such as Object X2408.2002E.. The CPU unit has an expansion unit (Object X2408.2002E) installed, as of 11/1/2004.